It’s not the activities and the pool parties that are drawing people to Texoma Shores, but rather, the quietness. People come here to detox from the hustle and bustle of everyday life. On the lakeshore, members enjoy the cool breeze in their hair and the calmness of the water, as well as, casting a line and reeling in a lot of nice fish! Lake Texoma is for those who love the outdoors. With all its serene features and clear night skies, it is the ideal get away for campers to relax and unwind. 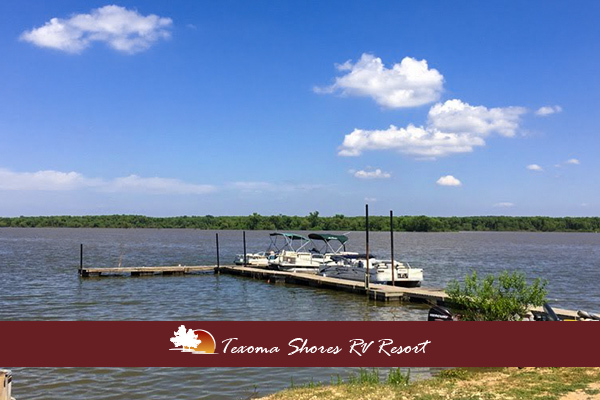 This summer, the Texoma beaches have been full of children swimming, laughing, playing, and fishing, as their parents relax and enjoy the cool breezes under the shade trees. In the last few weeks we’ve done a lot of work on our cabins and motel units, and in the next several weeks, we will begin updating the motel and update many of the campsites. Be sure and check it out next time you visit. Bring your bike, your fishing pole, your best bathing suit and start making memories with your family and friends, the OCP way! Amen to peace and quiet!!! We love the staff, our fellow campers and the ability to enjoy nature.